Today we will learn how to make a blogger blog post Full width, shift the sidebar from right to left and vice versa. This is very advance tutorial and you can't find it anywhere else in the internet. After following this tutorial you will get freedom to to choose these three option's and you can switch to any style without any coding knowledge, You can activate any style by adding the shortcode in your post or page editor, below we have provide the live demo's for Full width, Left Sidebar and Right Sidebar blog post's.enjoy!! Now this is the most essential part of the tutorial and you have to do it very carefully. In the template, search for the </body> tag and just above it paste the following HTML Coding. Note :- the widget works on jquery so you have to install jquery plugin if you haven't installed it yet..
Step-2 ( Adding Shortcodes ) - Most Important !! Now this is the most essential part of the tutorial and you have to do it very carefully.Go to your blogger dashboard > Post/Pages > Edit any existing or add new. On the post/page content, add the following code in the content area. Note:- This widget mainly work's with templates made by Soratemplates, but if it is still not working on your site, Don't get panic just comment down your blog address. Note* :- Some of the ttemplates made by soratemplates already has this feature. Congrats !! You have made it. 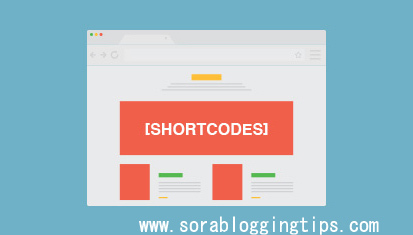 now you have learned that Make Your Blog Full Width, left Sidebar and Right Sidebar With Shortcodes. Visit your blog and check the awesome widget live in action, hope you liked this tutorial, if you enjoyed then please share it with your friends, we are working hard to develop more such awesome widgets please stay tuned with Us. Goodbye !! (Goodbye in English!! hahaha). You haven't added the codes properly. Dude, how do I install the jquery plugin? only install it if your blog doesn't have one. It doesn't work on my blog.. I have praticed correctly from your tutorial. I use PIXELZ blogger template. What is the solution? It has the feature in built, you don't have to follow this tutorial.